The Ultrafly 2 Has Arrived! Hear from Tony: everything you need to know about our latest update. Why did you make this shoe? The last was modified to fit snugger in the heel and roomier in the toe box. More toe spring in the forefoot. Less printed overlays to reduce weight and improve breathability. Added an Ortholite footbed for their antimicrobial properties and reduced compression. Weight and breathability, it’s still 8.3 oz for women and 10 oz for men. The platform is the same 3-density midsole and rubber outsole, which allows for more feedback in a cushioned shoe. Was there a certain type of runner you had in mind with the Ultrafly 2? Just like the original, the Ultrafly 2 is great for long distances, recovery, or runners seeking light guidance. It’s also great for people transitioning from a traditional running shoe to a more natural platform. The Ultrafly 2 shape and low drop allows the foot to land and load normally during the gait cycle, but with more foam underfoot to comfort and protect the foot during transition or for long, hard runs. Explain why the Ortholite footbed is a special/standout feature. The Ortholite footbed resists compressions 25% more than the average footbed and the antimicrobial foam is less likely to hold odor. Most companies wouldn’t invest in this, but we like to be thoughtful about the details and focus on ways to make the shoe more functional for our customers. 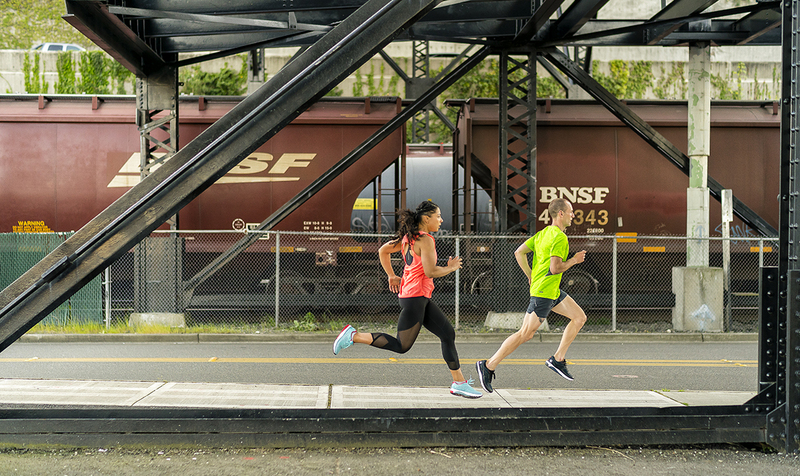 Why did you choose to release an update to the Ultrafly 2 versus a more cushioned shoe? We update our models about every two years so this was due for an update and we knew we could make an already great shoe even better. That is not to say we’re not considering other more cushioned shoes in the future, but the Ultrafly 2 was our priority. What’s the “one-two punch” you talk about for the Ultrafly 2 and Magnifly 2? A lot of people are looking for a shoe that can help them transition to a more natural experience but may be wary of an abrupt change (like switching from a traditional shoe to something like the ST-2). Shoes like Ultrafly 2 and Magnifly 2 can aid in that transition because they offer just enough conventional running shoe technology with some key features that are more natural. 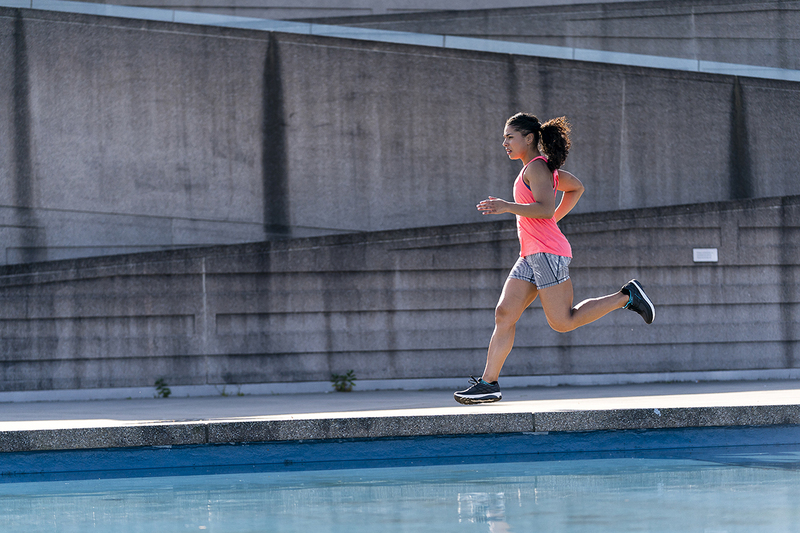 If a runner is already in a low-drop shoe but wants more cushioning, the Magnifly 2 is the answer. A runner who is coming out of a traditional high-drop, highly cushioned brand would be better off starting with the Ultrafly 2. Good job with the Ultrafly 2 update! Keeping all the good things in v1 and tweaking the toecap, changing the upper material and reducing the amount of overlays. Looking forward to getting mine in the mail soon! Thabks, Topo! We’re so glad you like the updates. Let us know how they feel!